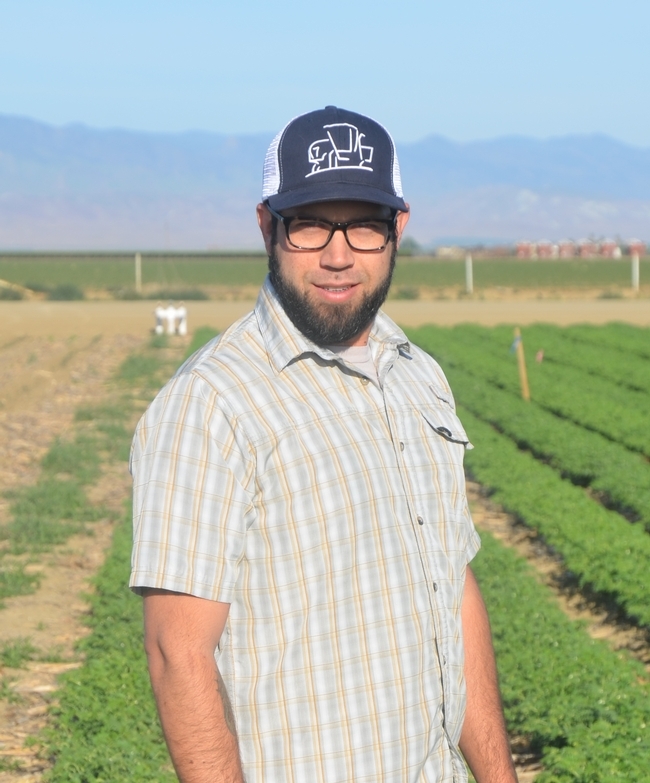 UCD student begins CDFA Healthy Soils Program project in San Joaquin Valley! New UCD PhD student, Geoff Koch, who is working with Will Horwath on San Joaquin Valley Healthy Soils Program effort. 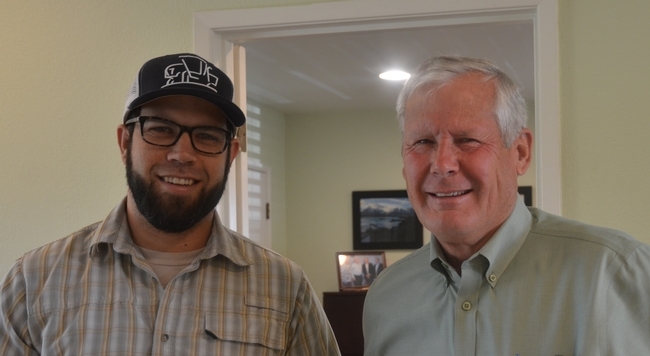 UCD graduate student, Geoff Koch, and former CDFA Environmental Farming Act's Science Advisory Committee Director, Don Cameron of Helm, CA. Geoff Koch (left) meeting Mendota farmer, Gary Martin. Geoff Koch, a brand new PhD student in the Department of Soils and Biogeochemistry at the University of California, Davis, working with soil scientist, Will Horwath, and CASI Cooperative Extension partners, Jeff Mitchell and Dan Munk, began his research project in earnest this week with a whirlwind tour of the San Joaquin Valley study sites where he'll be monitoring soil function and greenhouse emissions during the coming two and a half years. He is working on a CDFA Healthy Soils Program project, “Securing the future of highly productive annual cropping systems in California,” that will be implemented in the longstanding NRI Project field in Five Points where he will compare impacts of reduced disturbance tillage and cover crops on soil health and at the Mendota, CA farm of Gary and Mari Martin where he'll investigate the effects of winter cover crops. Geoff will be in charge of much of the data collection at these sites and for analysis of information that is generated by the project. 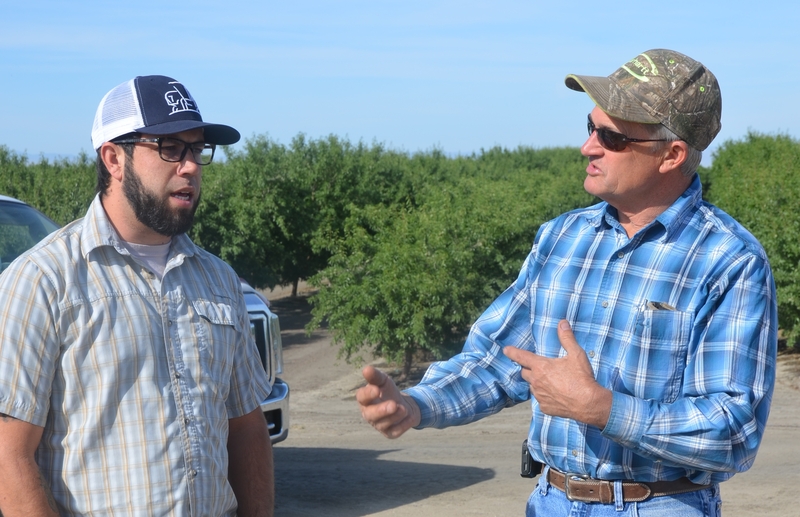 During his first week on the job, Geoff visited both sites and had chances to meet the Martins and to also meet Don Cameron, the former Director of CDFA's Environmental Farming Act Science Advisory Committee which was initially responsible for getting the Healthy Soils and State Water Efficiency Enhancement Programs up and running. We look forward to many very good contributions from Geoff during the coming few years and we welcome him to this exciting new project!